I love polish that shifts and evolves depending on the light. That is exactly what Girly Bits - Shift Happens does. It is a shifting topcoat. The shift is primarily red and it sparkles and shines like the glass ornaments my grandmother had on the tree every year. 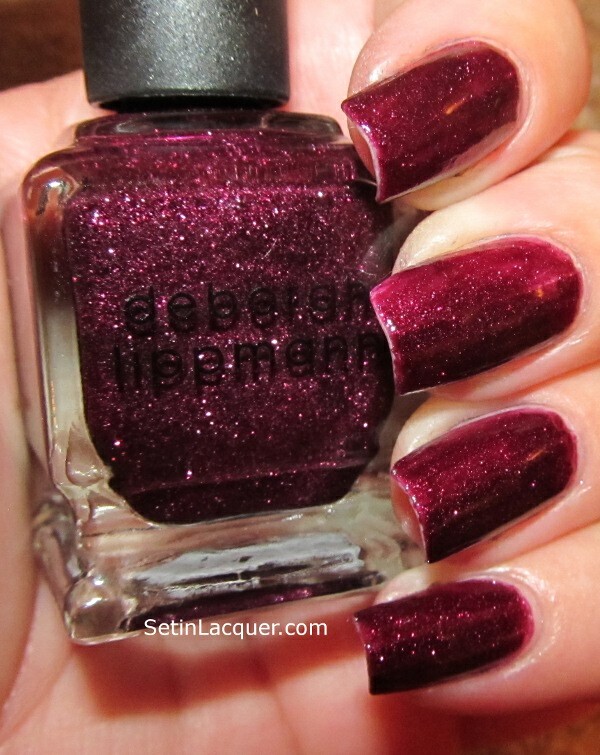 I applied a generous coat of Shift Happens over Deborah Lippmann Dancing in the Sheets. The red shine is gorgeous over the deep blue/purple base color. 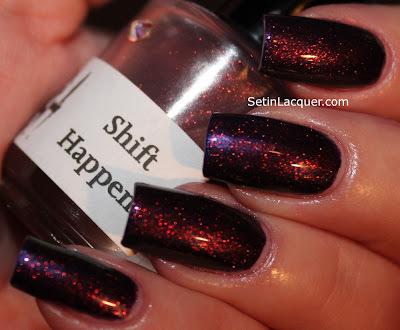 Shift Happens is a dupe for Max Factor Fantasy Fire. It's a much larger bottle than the Fantasy Fire which to me makes it a better bang for the buck. Fantasy Fire is in more of a purple base though. I will have to do a comparison post. 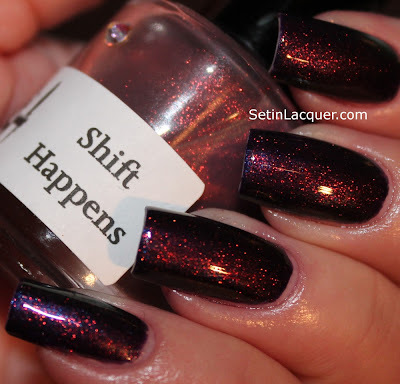 But let's look at Shift Happens in all it's glory. 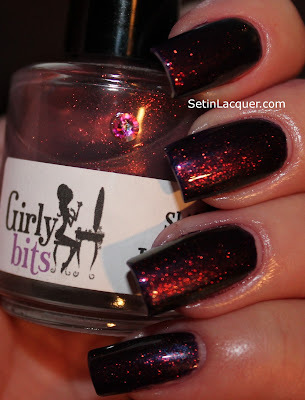 Girly Bits Shift Happens can be purchased on Girly Bits Big Cartel site for $11.50 when it's available. http://girlybits.bigcartel.com/ or at llarowe.com for $12 when available. This polish was given to me as a gift (Thanks Tina!). All opinions are my own. 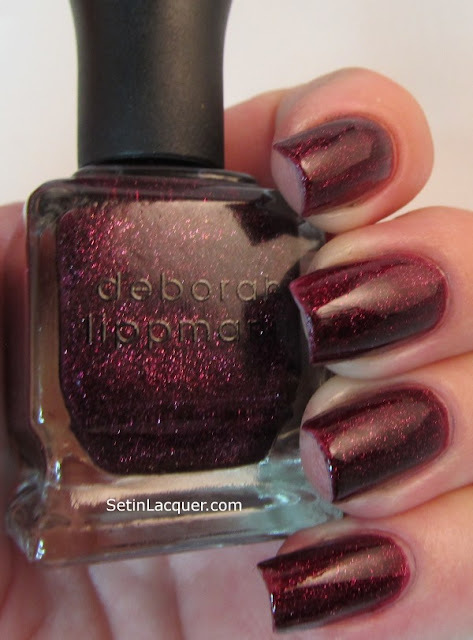 I have two wonderful Deborah Lippmann swatches for you today - Dancing in the Sheets and Good Girl Gone Bad. Deborah Lippman polishes are quite coveted among polish enthusiasts. I have a few of them and must say they are quality polishes with long lasting wear. The first swatch is Dancing in the Sheets. A deep blue shimmery polish with the slightest hint of purple in the right light. This is two coats. Next is Good Girl Gone Bad. It's a wonderful rich shade of wine with tons of glitz and sparkle. I think this is one of my favorites. It does require a good top coat as it is a very thirsty polish. This is two coats with a top coat of Seche Vite. 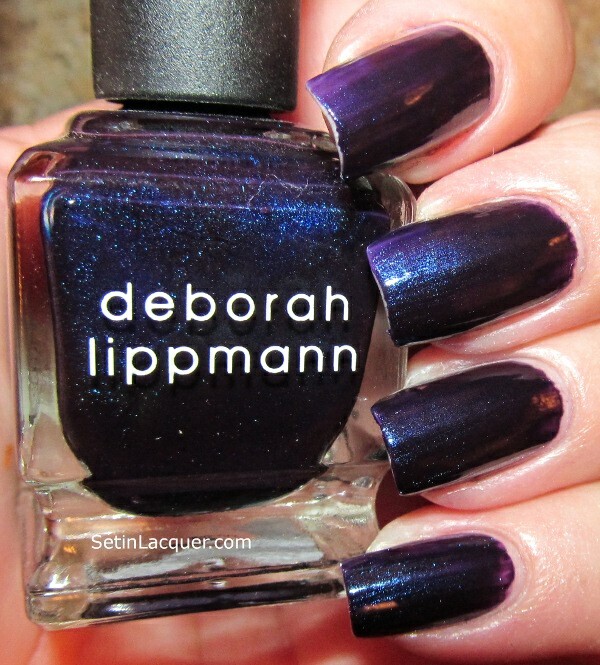 Deborah Lippmann polishes can be found at many department stores or online for $16 - $18. Occasionally you can find a bargain on www.hsn.com I have purchased sets of two polishes there for only $10.